Using reverse genealogy may be the next technique you need to try to break through your brick wall. 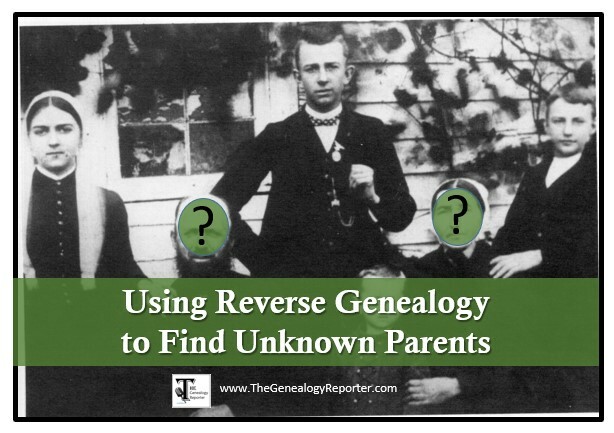 When you can’t find your ancestor’s parents, this is a great “next step.” Follow along as we share the process for doing reverse genealogy. Traditionally, genealogists start with what or who they know and work their way back connecting generation to generation. It doesn’t take long for them to hit a brick wall. Brick walls are what we call those pesky problems in our genealogy research, like not being able to find a set of parents. Reverse genealogy might be the “out-of-the-box” technique you need if you have a brick wall problem. Instead of working back through time, you find a potential ancestor and work your way forward hoping to link the potential ancestor with your targeted ancestor. Catherine Fear was born in about 1814 in Maryland. She married James Coddington in 1839 in Bureau County, Illinois. According to a county history found for Bureau County, Illinois, Catherine had come to Bureau County in 1834 with her “family.” This might suggest she came with her parents, but it could also mean other family members such as siblings, more distant relatives, or even by herself. Because I found no record of who Catherine’s parents were, I searched the 1840 U.S. federal census for anyone with the surname of Fear living in Bureau County, Illinois. I hoped her family had stuck around the area and I would find a potential father candidate. I found a John Fear living in Bureau County in the 1840 census. There was a man in the home between the ages of 40 and 49 which was likely the head of household, John Fear. If this was true, John would have been born between 1791 – 1800. He could be a possible candidate for father of Catherine if he was born closer to 1791, but if he was born closer to 1800, he could be an older brother candidate. What was also interesting was that James Coddington, Catherine’s husband, was found just six lines away on the same page. By searching for Fear families in that designated area, I sifted out a potential father candidate for Catherine Fear. John Fear born between 1791-1800 was a good candidate to follow, but I quickly “lost” him in the records. Because I “lost” John, I needed to go back even further. The Fear family should have been in Allegany County, Maryland in 1830. 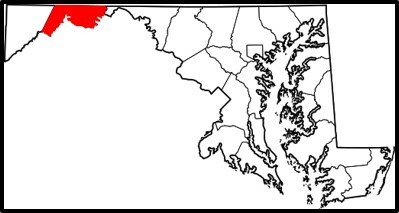 While searching for them, I noticed the surname might have actually been “Fearer.” In fact, I found several Fearer heads of household in the Allegany County, Maryland in the 1830 census. One head of household was Eliza C. Fearer listed just above Benjamin Coddington, the father of our Catherine’s future husband, James Coddington. Eliza had a female in her home close to the age Catherine should have been. This looked very promising. 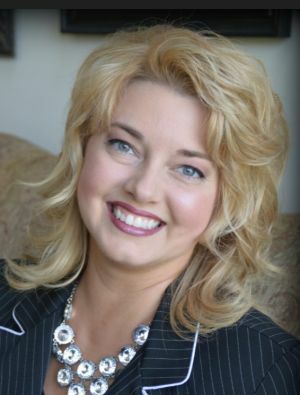 This Eliza C. Fearer became a possible mother candidate for my Catherine Fear. Searching the 1820 census for Allegany County, Maryland, I found John “Fear” enumerated on the line above Benjamin Coddington. Within the home of this John were two females under 10, just the right age for Catherine. My theory? Perhaps this John Fear/Fearer had been married to the Eliza C. Fearer found in the 1830 census. Maybe they were the parents of my Catherine Fear who later married a son of Benjamin Coddington. Further, maybe this John in the 1820 census had died between 1820 and 1830 and this is what instigated the family’s move to Illinois. John Fearer, Sr. had written a will in Allegany County, Maryland on 28 Nov 1829. Within that will, John Sr. stated he had the following children from his first wife Margaret: John Jr. and William. From his second and current wife Elizabeth, he had Elizabeth, Daniel, George, Samuel, Caty, Joseph, Polly, Jonathan, James, Levy, and Nancy. I suspected “Caty” was my Catherine. In 1836[,]John Fearer [Jr.] brought his family to Illinois. From Wheeling, West Va., the journey was made entirely by water. A landing on the Illinois soil was made at Hennepin. James Coddington, from near the Fearer’s old home in Maryland had already settled north of Princeton, in Bureau County, and later married John Fearer’s sister Catherine. The family found a home at Coddington’s until Mr. Fearer rented land near by. Though the will of John Fearer Sr. called her “Caty”, we can pool our pieces of evidence: the 1820 and 1830 census with a female of the right age in the home of John Fearer Sr. and later Eliza C. Fearer; Benjamin Coddington, father of Catherine’s future husband James, living nearby in both of those censuses; the fact that our Catherine Fear married James Coddington; John Fearer Sr. had a will naming a son John; a John Fear lived near Catherine when she lived in Illinois; and the will of John Sr. mentioned a daughter named “Caty” which could be a nickname for Catherine. Lastly, we had the biographical sketch saying that John Jr.’s sister later married James Coddington who was “from near the Fearer’s old home in Maryland” and stated that Catherine was John’s sister. Reverse genealogy is not an easy process. It takes a bit more investigative work and often is founded on several indirect pieces of evidence, but it can work! I hope this gives you another way to search and that you will break down a brick wall or two soon. United States Census, 1880, Dover, Bureau, Illinois, population schedule, enumeration district (ED) 7, sheet 16D, dwelling 145, family 157, Catherine Coddington; digital image, FamilySearch.org (www.familysearch.org : accessed 4 September 2015); National Archives and Records Administration, roll 0177; FHL microfilm 1,254,177. H. C. Bradsby, editor, History of Bureau County, Illinois, Chicago : World Publishing Co., 1885, pages 136, 485, and 298; digital images, Google Books : accessed 17 August 2012). It should be noted that the year of marriage was given as 1838 in the biographical sketches within this book, but in the listing of marriages performed found on page 298, James Coddington and Catherine Fearer [sic] were listed as having been married in November, no day given, 1839. H.C. Bradsby, History of Bureau County, Illinois, pg. 136. 1830 US Federal Census, District 2, Allegany, Maryland, population schedule, page 12, Eliza C. Fearer ; digital images, Ancestry (www.ancestry.com : accessed 2 Sept 2015); citing NARA microfilm publication M19, roll 53. Newton Bateman, Paul Selby, Horace C. Kauffman, and Rebecca H. Kauffman, editors, Historical Encyclopedia of Illinois and History of Ogle County, Chicago : Munsell Publishing Company, 1909, page 892; digital images, Google Books: accessed 1 Sept 2015). Thanks for highlighting, Amie, and for walking us through your reverse genealogy technique. This approach will likely be the key to finally identifying the father (or most likely candidate) for my fifth great-grandfather Thomas Kirk (a bit of a current genealogical obsession). I’m taking notes on this approach for my own benefit! Wishing you the best of luck, Michael!